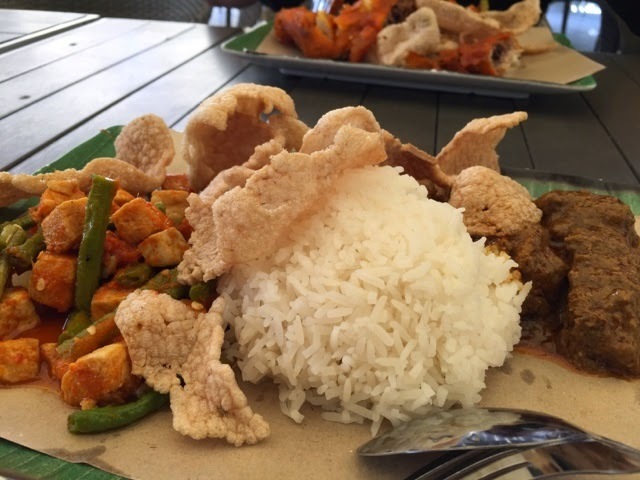 Located in Far East Square, you will find a food place that sells Nasi Padang and Nasi Bryani. The Chamber is a good place for lunch with affordable food. Nasi Padang is the Malay version of Chinese economical rice or the American version where you select the dishes and pay by the weight of the lunch box. Nasi Padang originated from Padang, Indonesia, which consist of steamed white rice and a wide variety of meat and vegetable dishes. 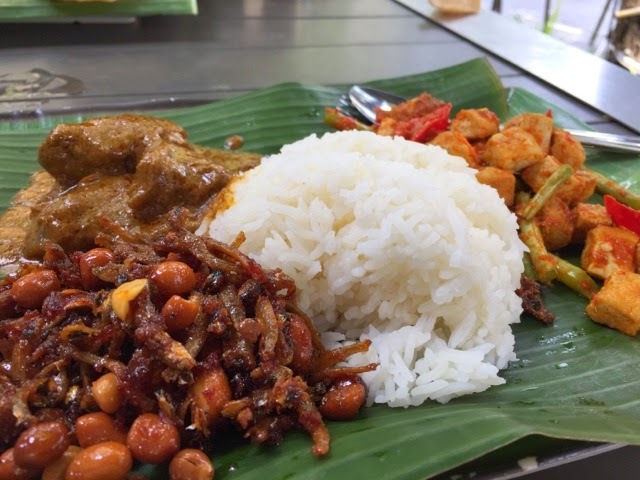 Nasi Padang in Singapore-style has been described as healthier choices by blending healthier choices such as less salt and more vegetable dishes. The Nasi Bryani is a mixed rice dish originated from the Indian Subcontinent. It was prepared with spices, rice, meat and vegetables. Twice I have been there, I ordered Nasi Padang. I usually ordered one meat and two vegetables dishes. Priced at SGD4.50, I ordered one meat dish - Beef Rendang, one vegetable dish - sambal beancurd with long beans and fish crackers.